Xander Schauffele golf club hand positions not only looks very precise but is also repeatable for consistency through out a golf round. A good grip brings great results helping Schauffele with a top finishing win at the 07/09/2017 Greenbrier Classic PGA tournament. So how does Xander Schauffele grip his golf clubs? 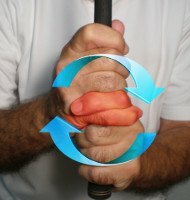 Xander uses a interlocking grip style for woods and irons, which is a very good choice for golfers with small hands. 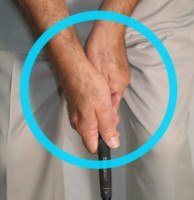 He uses a neutral hand position grip to help prevent too much golf ball side spin. 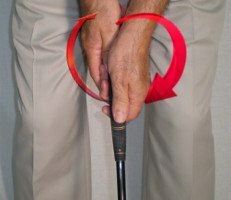 Using a Cross-handed (left hand low) Putting Grip that creates a head over heels golf ball roll that helps keep the putt on line.